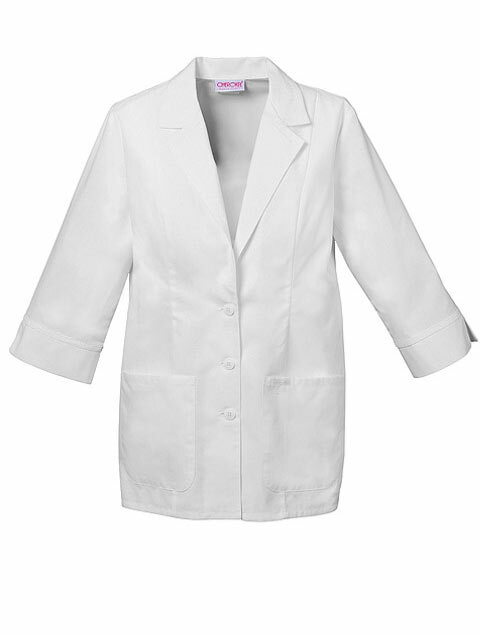 A button front lab coat is edged with lace on its collar, notched lapel and center back belt. 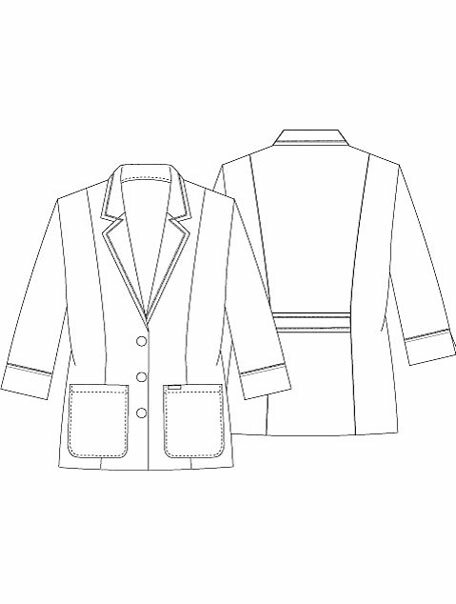 Princess seaming and two patch pockets detail the front and back, three quarter length sleeves sport cuffs. Center back length 29"